A new Google Chrome extension is helping HootSuite Pro and Enterprise users who are part of HootSuite Teams expand their organization’s social monitoring capabilities. The extension, dubbed HootSuite Assignments, is beneficial for social media managers because it can help them respond to customer inquiries or take advantage of marketing opportunities in real-time. This is because posts from Facebook and Twitter can quickly be assigned to the most appropriate team member in sales, customer support, public relations or marketing, so that suitable responses are published promptly. 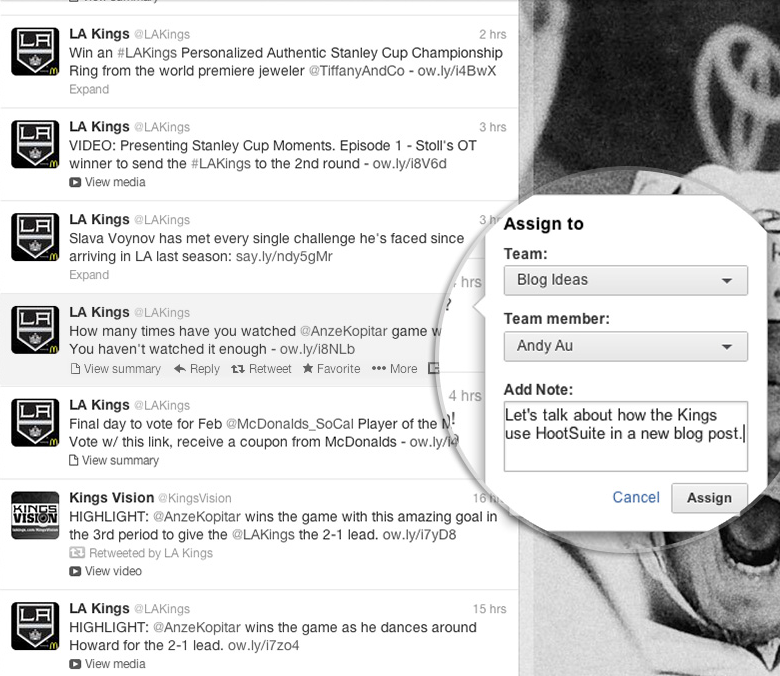 Once the Assignment extension is downloaded, HootSuite Team members have access to an “Assign To” button, which is located directly below each status update on Facebook and Twitter’s websites. From there, users can choose the team or team member that they want to assign the post to, as well as have the option to include a custom message to guide the assigned team member’s next action. After the post has been assigned, the assignee receives an email notification to view that post within an in-browser popup menu. Moreover, social managers have the ability to monitor the progress on tasks that have been assigned as well as tasks that have been completed.